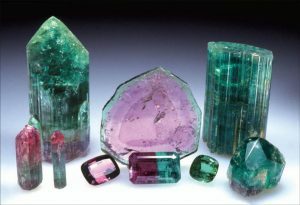 When it comes to gemstones, America really is the Beautiful! Join us Wednesday, September 27th for a cocktail reception from 5:00-6:00 PM, followed by a fascinating presentation by Shelly Sergent showcasing the 13 states that produce some of the worlds best gem quality minerals. Shelly Sergent has spent 35 years in the jewelry industry, starting as a gift-wrap girl for Zales Jewelers. She quickly recognized her passion for fine gems, design and first class client services. 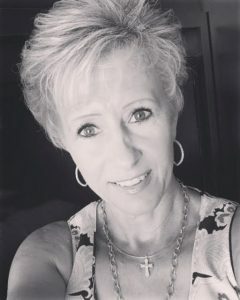 Shelly then learned the business of the jewelry industry, climbing the ranks from that original job in gift-wrapping to sales, service, philanthropy and eventually management. Shelly worked hard to establish herself as an industry ‘go to girl’ for fine, rare colored gems and design. She has had the privilege of working with some top design houses and is grateful for the mentoring, time and shared passion she’s learned from brokers, lapidaries, designers and collectors from around the world. She has been a featured guest presenter on JTV, keynote speaker for many industry events and travels extensively, sharing gem and jewelry passion with guests and museum goers here and abroad. Fast forward to today… Shelly has the amazing job as lead curator for a world class gem and jewelry collection, Somewhere In The Rainbow. Somewhere In The Rainbow’s mission is to bring hands-on education, understanding and appreciation of fine colored gems and artisan crafted jewelry to museums, retail stores and educational facilities dedicated to enjoying and appreciating the rarity, beauty and value of these gems and master artisan’s works. RSVP: Reservations requested at info@fourpeaksminingco.com or call 480-434-6074 and let us know how many in your group will be attending. Looking forward to the presentation! Can’t wait for the presentation!